Santa Monica Pride, the city’s first celebration of the LGBTQ community, will include a “Miles of Pride” lighting installation. It will feature tens of thousands of LED lights strung along the Promenade, through Santa Monica Place, and down the Pier ramp, providing a rainbow of colors. Photo: Downtown Santa Monica. SANTA MONICA — For the first time ever, Santa Monica will celebrate the LGBTQ community in June with a month of programming and events, including a Pride festival. SaMo Pride is a collaboration between Downtown Santa Monica, Santa Monica Pier, Santa Monica Place, and the City of Santa Monica. Nationally, June is recognized as LGBT Pride Month. LA Pride hosted the nation’s first, permitted Pride Parade on June 28, 1970. “There have always been smaller events hosted by community groups and businesses,” said Kevin Herrera, spokesman with Downtown Santa Monica. “This year there seemed to be a swelling of support for Santa Monica to recognize PRIDE on a grander scale. Various groups coalesced, and it just seemed like the right time to host a citywide celebration. The celebration will include a “Miles of Pride” lighting installation. It will feature tens of thousands of LED lights strung along the Promenade, through Santa Monica Place, and down the Pier ramp, providing a rainbow of colors. 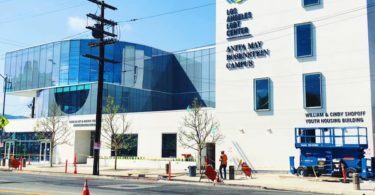 Numerous events, including educational forums, kids’ arts and crafts, and exercise classes, will be scheduled throughout June at various locations, such as the Santa Monica Pier deck, Third Street Promenade, and the Main Library. A complete schedule will be posted at smpride.com.